Me and horror games do not get on at all. Ever since the days of Resident Evil and them damn zombie dobermans busting through a window, any game that has even a small jump scare in it makes me worried to even load the damn thing up. Checking through upcoming games coming to the console however, I found myself looking at The Park and finding myself actually wanting to see what it was all about. Coming to Xbox One on May 3rd, the story sees you take control of a mother called Lorraine, whose son Callum goes missing at the Atlantic Island Park, because thats what flaming idiots do. 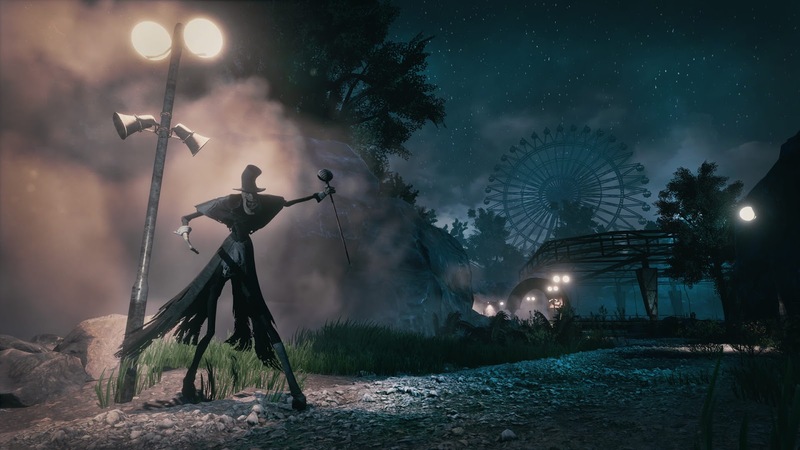 You must go on to explore the amusement park as you unravel Lorraine's story, and also find out the history of the park itself. With the game Focusing on intense storytelling and exploration instead of combat and action. For me at least at looks to have an Alan Wake style vibe to it, but I could of course be totally wrong. I'm looking to have both a gameplay video and review up for this shortly. I may even stream some if I have time and am possible to do so (if wife and kids are not around).